This free car loan calculator helps you determine your car loan repayment with a loan term from 2 to 7 years. It is also a car loan amortization calculator which means you can use it to build a car loan amortization schedule. You can specify different repayment frequency - monthly repayment, fortnightly repayment, or weekly repayment. You can specify Initial Deposit, Balloon Payment, Annual Loan Fee, & Other One-off Fee(s). It also shows you the Comparison Rate (%) of your car finance. It has a pie chart to show the breakdowns of your total car loan payment. 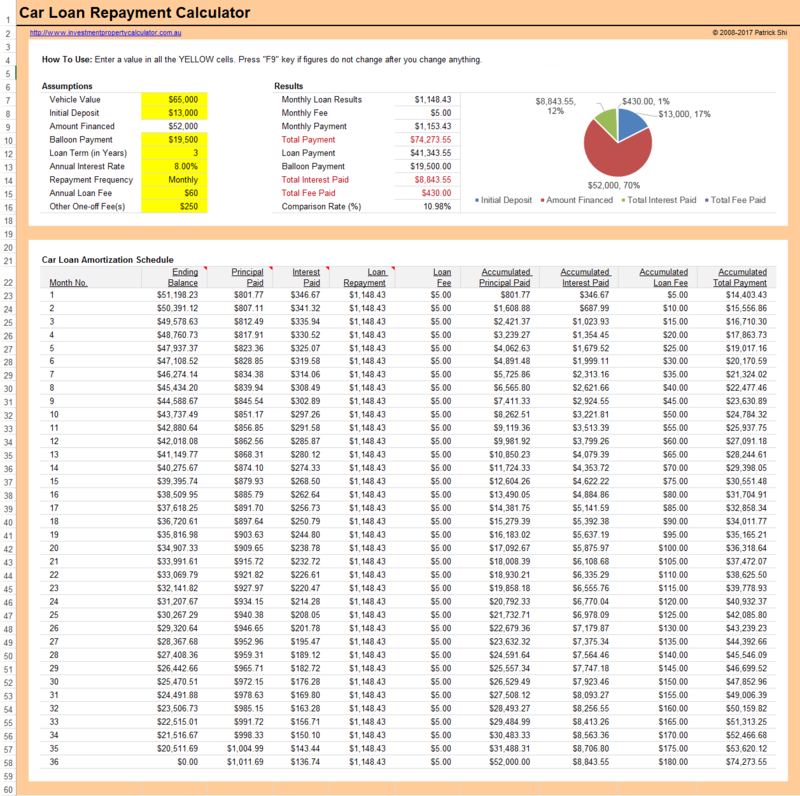 This car loan repayment calculator calculates the total payment, loan interest and is tailored to be an Australian car loan calculator. You can use this car loan payment calculator to calculate car loan for both used car loan and new car loan. 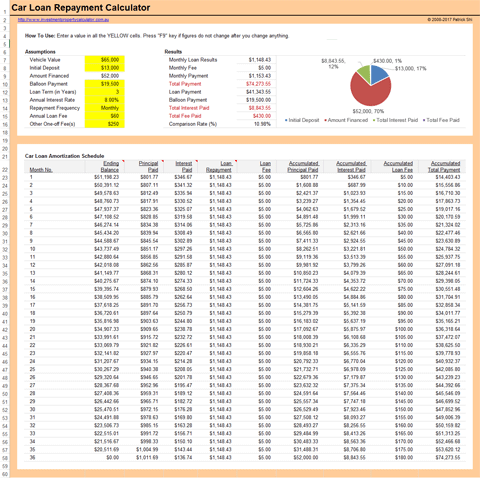 There are many car loan calculators available online, I believe this will be the trully useful car loan repayments calculator. Here is a screen shot that will give you a better idea that what you need to do and what this free car loan repayment calculator can tell you. Download FREE Car Loan Repayment Calculator Now!